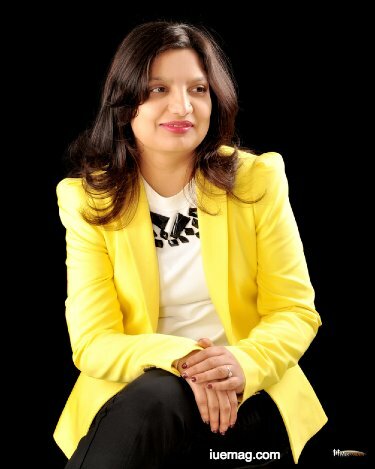 Savitha Hosamane is an Author | Visionary Entrepreneur | Speaker | Facilitator | Culture Builder | Product Evangelist | Conceptualizer, with over 23 years of corporate & entrepreneurial experience. 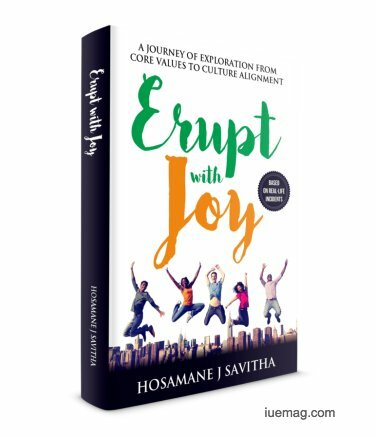 She launched her latest book ERUPT WITH JOY which is being picked up by HRs, Culture Heads of companies, GMs, CEOs and COOs to bring their tribes to live, laugh and erupt with joy while at work. This story is a part of "as it is" stories published by iU eMagazine, that bring you the mind of interviewees directly without amends and edits in perspectives or narratives by our editors. Read ON! An instrumentation engineer by qualification and a joyful engineer by choice. Am on a mission to craft happy and healthy mindsets and to make work as meditation. I strongly believe in making the earth a much happier place than what it is right now. Work towards designing joyful workplaces to maximize profits by culture nourishment and alignment. I dream of creating non-serious spaces to harvest human potential in inner and outer world playfully. I had a very strong message to share with the world. I chose to share the message through this book. I can condense the message in a line. However, the journey to arrive at this one-liner is where the real fun is. What were the earliest incidents in your life when you learnt you had a writer in you? On the very first day of my school in 9th standard, we were all asked to write an essay on how we spent our holidays. The teacher was very strict and didn’t give us a chance to talk and kept an eye on all of us. We were all forced to write something. I was more interested in talking with my friends rather than writing as it was the first day and there was so much excitement in meeting my class mates. I wrote the essay and the teacher made me read that essay in front of the whole class highlighting few points of the approach. That is the first incident where I felt I could write something worthwhile. Who are the most apt readers for this book? What kind of seeker would be delighted to read this piece? The most apt readers would be the people who are really interested in exploring themselves with a playful insight. Largely, the qualities to know and lead oneself starts on a more sincere note from the age group of 25 - 30 plus onwards. This book delves into different aspects of wellbeing which are quite thought provoking and challenging at times to take an honest look at oneself authentically to move towards joy and celebrate life in every possible way. Who's your inspiration when it comes to becoming an author? The feeling of awe whenever I would read any book and relate to some character in the book as though it is the real me there has been my inspiration always. I would wonder how could someone craft what I am going through so beautifully. I also wished to write and express myself. What changed after you turned an author? I can see a story everywhere and whomever I meet like the pages of a book. How many hours did you have to dedicate to bring this book alive? What schedules you had while doing this? What's your hack here for other writers? I didn’t keep track of hours on a regular basis. I simply wrote whenever I felt like writing. I directly typed onto the computer. I am more comfortable that way. I completed the major chapters of the book in 3 months’ time as there was no dependency on anyone. The 2 special sections of the book required me to meet and interview people, write the write-up, take their approval for publishing which took a whooping 15-16 months. I had to care of my building my business - HASOVAN also during this process of writing. The advantage that I had was my book was also helping me in a way to provide insights about the culture of various organisations. It was a huge learning and fun all along the way. My hack for other writers would be - Just focus on the message you want to provide with the book with all your heart and build the storyline and connect to the main message. Love what you write and don’t go for being perfect and keep on re-writing. Who are the people you would love to thank & mention about in this journey of having become an author? It is a long list – kindly refer the acknowledgement pages of my book Erupt with Joy. I would like to thank Sw. Ravindra Bharti – my mentor who made me realise that meditation had worked for me during our fun-loving chit-chats. The seed itself started from fun and erupted to joy in a more fulfilling way. With that strong revelation, I had the conviction to push myself beyond my limits to reveal real life scenarios with so much ease. Lastly, What's your piece of advice for other aspiring authors? If you really love to share something beautiful to the world, just go and do it. Do not wait to think “Who will read my book”? “What if people laugh at me for writing something so silly”? Just write and publish it. It will change you in the process tremendously in ways untold. Don’t judge yourself.